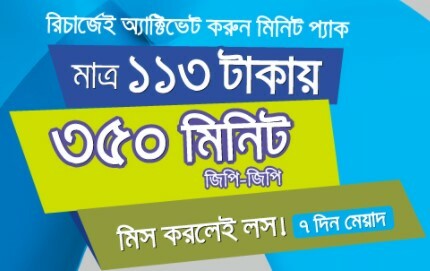 Welcome to all Grameenphone customers to enjoy GP 350 Minute 113Tk Offer with special validity. 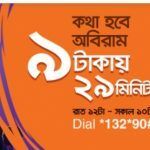 Bangladesh number one telecommunication operator GP has come to their valuable customers to enjoy 350 Minute 113Tk Offer. GP all time provide to their user to activate low price internet offer and minimum call rate offer. The customers who want to know or activate this special minute offer. No tension, just read this full article to get a clear concept about thus offer. In this bellow, you will get all more and information to activate this special minute offer. GP all prepaid and postpaid customers are eligible to activate this special 350 Minute 113Tk offer. To activate GP 350 Minute Offer, you need just dial USSD Code *111*129#. After dial this activation code, customers will be charged 113TK. Customers can use this minute in 24 hours for any GP to GP numbers. To check your remaining minute bundle offer, customers need to dial *121*1*2#. This offer will run after the next notice. At finally we hope that, all selected customers got a clear concept about the GP 350 Minute 113Tk Offer. If you want to know more or face any problem to activation this offer, please comment our Facebook Page. Thanks to all customers for being with us.